So lucky to have supporters spreading PTSD/C-PTSD awareness and raising money for the cause. 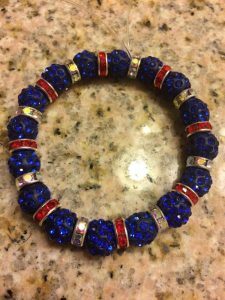 Crystal Bracelets by Holly (pictured) are being sold for $25 with profits being donated to Unbroken Warriors. “The best way to find yourself is to lose yourself in the service of others.” -GANDHI We are always humbled to see so many people appreciative of the sacrifices our veterans have made.